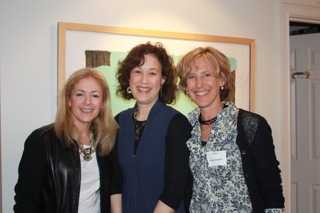 Our first “She Did It” event kicked off at a private home gallery in Newton, MA on April 24th. Twenty BA50s got to view an outstanding art collection (including works by Joan Miro, Pablo Picasso and Marc Chagall) and learned how to judge pieces of art, all while enjoying wine and cheese. Most of all, we got to hear each other’s stories of life post 50. Lots of positive energy, reinvention stories, and fodder for future articles. Stay tuned. I had a great time. I can’t wait for the next event! I am very interested in becoming part of this group. I have recently retired from teaching in the Newton Public Schools after 37 years. I am very ready to begin a new phase of life, but need some direction. I wish I had known about the event at Babson today. When is the next event? Thank you.